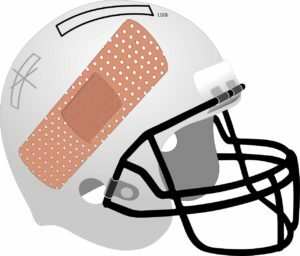 The football season is soon upon us, and so we will tie this recent RevCycle Intelligence article into the season of the gridiron by offering a refresh to those in the industry and a step-by-step overview with many industry stats related to healthcare revenue cycle. “From a revenue cycle perspective, getting the most accurate information up front starts with patient scheduling and patient registration,” Gary Marlow, Vice President of Finance at Beverly Hospital and Addison Gilbert Hospital. Hear their story in RevCycleIntelligence.com. To address these needs and to beat the competition, technology is critical. “Approximately 4,201 hospitals have already invested in healthcare revenue cycle management technologies.” In fact, healthcare revenue cycle investments are predicted to grow by 15.51 percent, growing to $7.09 billion by 2020! One major problem everyone has is claims denials…the American Hospital Association found that 43 percent hospitals have spent more than $10,000 in the first quarter of 2016 to manage claim denials and 26 percent have invested over $26,000. But building a good game plan needs investment, process, and knowledge of how to mitigate denials. Knowledge is built on gathering data and using intelligent analysis to feed better processes. And, of course, don’t forget the “blocking and tackling” of streamlining insurance collections. Whether it be paper or electronic, there are savings of over $4.74 per claim to be made on every EOB with conversion technologies which create 835 from paper. With the preseason coming to an end, it’s time to put your game face on and tackle the hard challenges of revenue cycle. OrboGraph’s blocking and tackling approach is gaining yardage in the market. We are looking forward to the 2017-2018 season!